Rory paid his way through college by playing trumpet though he was a vocal major. He recorded his first big band album The Very Thought of You in 2006. British troubadour Nick Lowe says he wasn’t exactly filled with the holiday spirit when his label first approached him with the idea of recording a holiday record—but he gave it a second thought and the result is the utterly charming Quality Street–12 tracks that mix seasonal standards (each arranged with some kind of new twist) with clever originals like “Christmas At The Airport.” Any of us who’ve been thwarted by “Mother Nature” can empathize with this stranded traveler–though I don’t subscribe to his “don’t save me any turkey, I found a burger in a bin” school of staving off hunger. Dr. Dog gave fans a nice gift this year–a four-song Christmas EP called “Oh My Christmas Tree.” Lead singer Scott McMicken says he wrote the songs last year and recorded them to give as gifts to family and friends. But the project turned out so well that he decided to share it with the world. If you’re in the mood for more holiday tunes, I’ve got an hour of them on the 12/23 edition of Roots and Branches–you can find it here. Washington, DC – American saxophone legend Wayne Shorter is touring Europe to promote his new album, Without A Net. While in Europe, the multi-Grammy winner performed for a few days ago at the EFG London jazz festival. His European tour included performances with the Czech Philharmonic Orchestra and the London Orchestra for his upcoming new album next year. 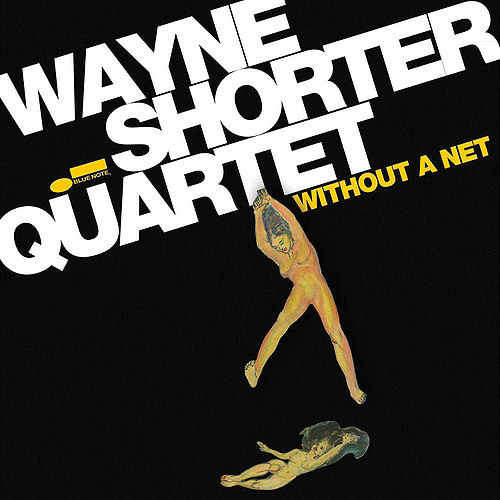 in November, Shorter and his quartet toured the United States and performed with several orchestras, including the Los Angeles Philharmonic Orchestra and the Washington Symphony Orchestra. I talked with Shorter about his new album. The release coincided this October with a gala at the Kennedy Center celebrating his 80th birthday. For more than 65 years, the iconic saxophonist has been on what he describes as “a kind of fantasy journey in the music.” Shorter was part of Art Blakey’s Jazz Messengers in the early 1960s. He came to fame playing with Miles Davis, and later co-founded the band Weather Report with pianist Joe Zawinul. 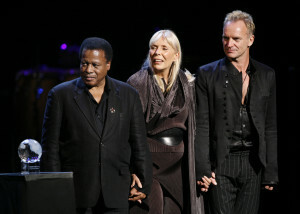 Earlier this year, Shorter received the UNESCO Medal of the Five Continents award for his lifetime contribution to jazz. Black Friday is the name that has been assigned to the day after the American Thanksgiving holiday—it’s traditionally the biggest shopping day in the US, the start to the big holiday shopping season. Over the years, large retailers turned Black Friday into a circus of sorts, opening their stars earlier and earlier (somes even at 2 and 3 in the morning), offering food and hot drinks to eager shoppers who camp out in front of the stores all night, in hopes of snagging big bargains. Now, the folks who organize Record Store Day are getting in on the action, but they’re celebrating in a more low key way. Independently owned record stores in the US and Canada record stores (no large retail chains are allowed to participate) will be selling some special items in very limited quantities. Unlike Record Store Day (the third Saturday of April), this is an “extended play” holiday—items will be launched on Friday, November 29th, but stores can carry them for sale as long as supplies last. And, they’ll be made available online—so you can get in on the action, no matter where you live. 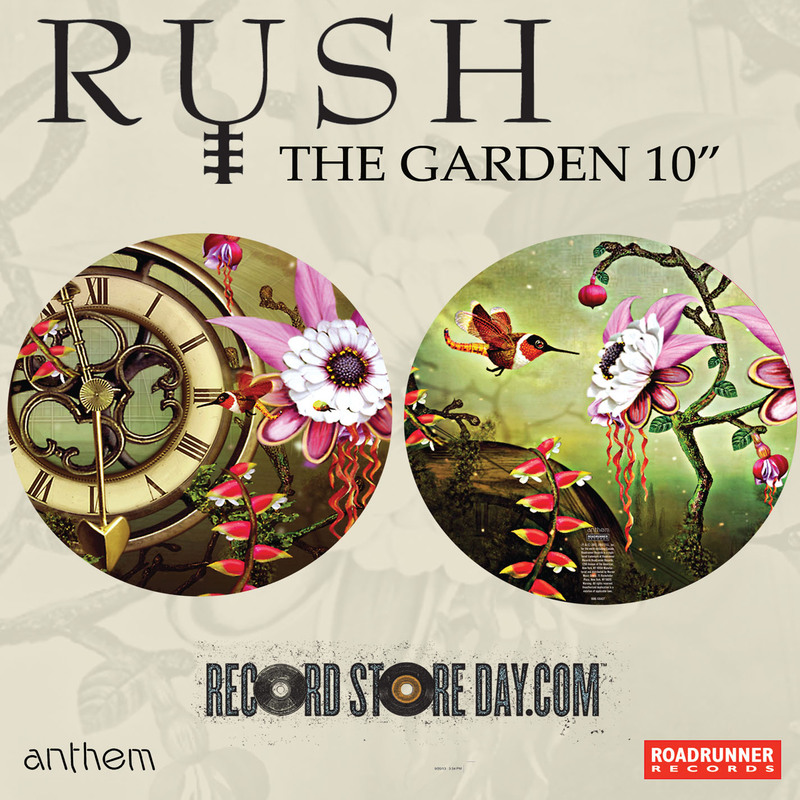 Rush has a picture disc available for the Black Friday Record Store Day November 29th. Rush has a limited-edition 10-inch picture disc for “The Garden,”which contains both the studio version of the song from the Clockwork Angels album, as well as a recording from the just released live set recorded on the last tour (CD, DVD and Blu-ray). The live version features the band performing with the Clockwork Angels String Ensemble. This video looks amazing and makes me sorry I didn’t catch Rush this time around! The Dave Matthews Band has 2 special sets on offer November 29th. 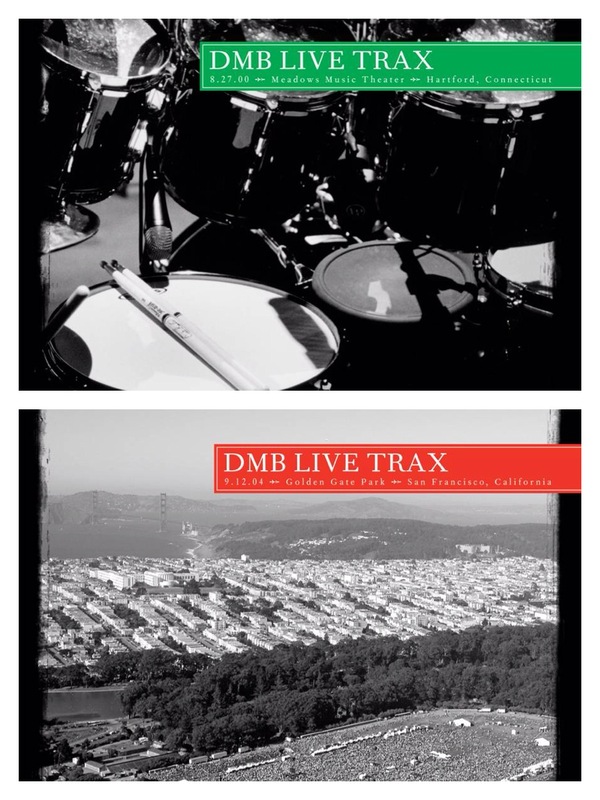 The Dave Matthews Band has two special releases on offer–Live Trax Vol 2: 9-12-04 Golden Gate Park, San Francisco CA and Live Trax Vol 3: 8-27-00 Meadows Music Theater, Hartford CT. Both are multi-LP colored vinyl boxed sets, numbered and exclusive to this November Record Store Day special event. A complete list of all the Black Friday rarities is available here, along with a list of participating online merchants. Let me know if you pick up any cool stuff! American keyboardist and composer Jeff Lorber has released a new album. Hacienda is another fusion gem by one of the founding fathers of jazz fusion. It showcases eleven tracks, building on a huge success of Lober’s 2011-2012 European tour that produced his earlier album Galaxy. The song title is named after a nightclub in Manchester, England in the 1980s. The Hacienda was the Rock & Roll hub for groups like New Order. Hacienda also includes a rendition of Frank Zappa’s “King Kong,” with French jazz fusion co-founder Jean-Luc Ponty on violin. 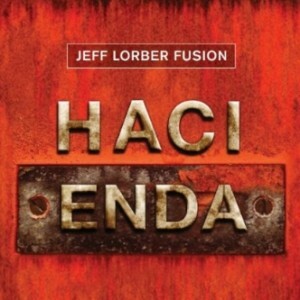 Hacienda features a powerful comeback of Lorber’s formidable Grammy-nominated trio the Jeff Lorber Fusion, featuring bassist and co-producer Jimmy Haslip, and saxophonist Eric Marienthal. 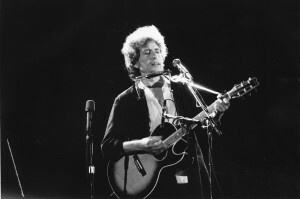 Bob Dylan was presented with the Legion of Honor Wednesday in Paris. No cameras were allowed into the ceremony, so there’s no video to share, but it’s been reported that Aurelie Filippetti, France’s Culture Minister presented the award to the 72-year-old singer-songwriter. In her speech, the Minister talked about Dylan being an inspiration to the youth of France and also a role model to everyone fighting for justice and independence. “More than anyone, in the eyes of France, you demonstrate the subversive power of culture that can change people and the world,” she said. She also name checked many of his albums and songs from the 1960’s through today, tying them to causes like the United States civil rights movement. 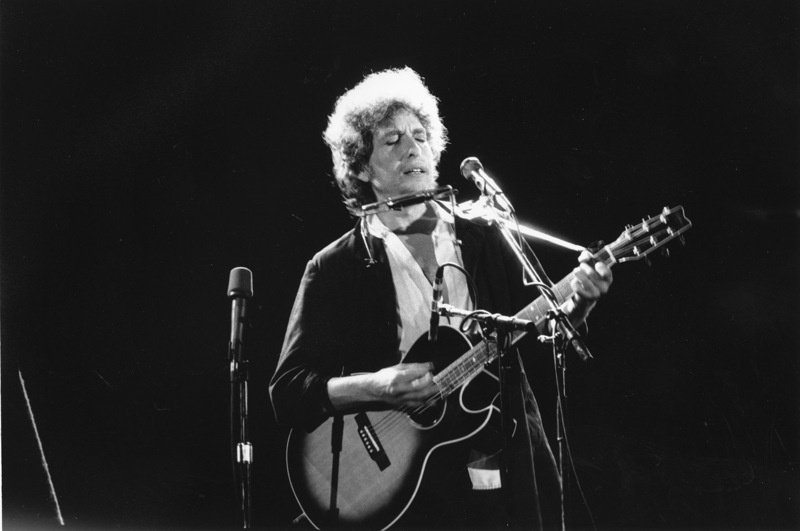 Last year, Bob Dylan received the Presidential Medal of Freedom, the top civilian honor awarded in the United States. His never ending tour rolls on—-the day after receiving his French honor, Dylan performed in Paris and he’s got ten dates left in the U.K. before wrapping things up for the year. That’s the message Malcolm Brickhouse, Jarad Dawkins and Alec Atkins hope you take away after listening to their band, Unlocking the Truth. The three African-American tweens (Alec and Malcom are 12, Jarad is 11 and all are in grade 7) from Brooklyn, NY aren’t rap fans—they love heavy metal music. And they don’t care that it isn’t the music of choice among their friends–the guys have loved metal ever since first hearing it back when they were little kids. By the time the boys were six, they’d formed their first group. It wasn’t long lived, but lasted long enough for the trio to realize they wanted to form their own group and get more serious about writing songs and performing. Soon they were playing in parks and and on the streets around their hometown—and people started taking notice. I mean, it’s always hard to walk by a cute kid band playing outside the subway, but when they’re playing something unexpected, you’re more likely to stop and take a listen. At least I am. Soon people started posting Unlocking The Truth videos to YouTube—and the views went up and up and up. A one minute clip of the band performing part of the Star Spangled Banner quickly racked up more than a million views. And this original song, “Monster,” is closing in on 200-thousand clicks. Last summer, Unlocking The Truth hit another milestone when they played the Afropunk fest in Brooklyn, sharing the bill with Jada Pinkett Smith‘s band Wicked Wisdom, ?uestlove, and Chuck D & DJ Lord, among others. Add all their ages together and they still are younger than most of the weekend’s other headline acts! According to their website, Unlocking The Truth is back in the studio, working on albums number 3 and 4 (!) of original material. Their dream for the future? To become one of the world’s best heavy metal bands. Do you know about The Piano Guys? The Piano Guys are four music loving dads from Utah who got together and started making videos just for fun. They wound up posting them on YouTube and soon the hits started coming—millions and millions of them to be exact. And once I sat down and saw one, I understood why. Check out their 10-hand version of One Direction’s “What Makes You Beautiful.” Even if you go in thinking this doesn’t look like something you’d like, their videos are so original and fun that it’s impossible to watch just one. Who are these guys? Despite the name, there’s only one piano player, Jon Schmidt, and one other instrumentalist in the group — cellist Steven Sharp Nelson. The two other Piano Guys are videographer Paul Anderson and music producer Al Van der Beek. Together, they write original songs and produce mash-ups like this Taylor Swift/Bach mix. Sounds crazy, but it works! So, where does the Great Wall of China fit in all of this? Turns out The Piano Guys had long dreamed of putting a grand piano up on the Great Wall and after much hard work, it happened. The Piano Guys were given permission by the Chinese government to film a video on the portion of the Great Wall called Huangyaguan. And that’s when the really hard work began. I’m not talking about all the energy spent deciding what to play (a mash-up of Oogway Ascends” from the Kung Fu Panda soundtrack & Chopin’s Prelude Op. 28 No. 20 in C minor) or the time spent arranging the very special tune. Do you know what it takes to put a piano on one of the seven wonders of the world? Some 60 people raising it up. The Piano Guys were given only 12 hours to film their video. Weather was a worry, but their biggest obstacle was the fact that the Great Wall is one of the major tourist attractions in China! They couldn’t just shut down an area to get the perfect shot, they had to work around curious sightseers. Did it all work out? Judge for yourself. Mary Alouette is a jazz singer and guitarist from Brooklyn, New York. 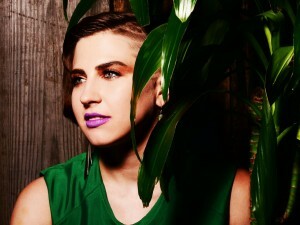 Alouette has just released her third album, The Lark which showcases songs such as “Just You,” an intimate song about lost love. On an earlier disc, Fête de la Musique, she showcased French chansons, such as “Ménilmontant” by Charles Trenet, and the Django classic, “Nuages.” “They have a great international appeal,” she said. I always think Hank Williams appears so frail in comparison to the robust, chiseled country stars of today, but don’t let those looks fool you. Despite battles with illness and drug and alcohol addiction that lead to a career cut short by his death at 29, Hank had a career that today’s stars can only dream of. 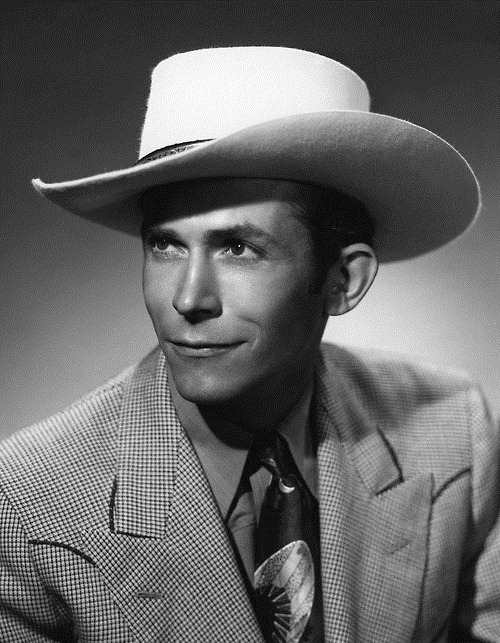 In six short years, Hank Williams wrote and recorded only 66 songs under his own name (he also recorded as “Luke the Drifter”, but that’s for another day)–but of those, an incredible 36 were Top Ten hits and 11 went all the way to Number One on the equivalent of today’s Billboard Country Chart. Let that sink in for a minute. 6 years, 66 six songs, 36 top ten hits. 11 number ones. So, you could break that down to an album a year for six years. 6 top ten hits each year, and two of those going to number one. And he wrote all but one. Oh, and all those number-one songs are considered standards today. How many of hit makers today (in any genre) can claim that? Born in Mount Olive, Alabama on September, 17, 1923, Hiram “Hank” Williams was a shy and sickly child. He was born with a spinal condition (believed to be spina bifida, but never diagnosed) which meant he’d never be able to work a farming or factory job or do any kind of manual labor. Good thing his musical talent showed itself early, with Hank learning gospel songs in church, traditional folk and country songs from his neighbors. He also learned the blues from a local African-American street musician, who also taught him the basics of playing the guitar. And while Hank Williams couldn’t be more country, his songs can’t be stuck in a box and labeled one style or another. They’ve been hits when pop, gospel or blues singers. One of Tony Bennett’s biggest hits was his cover of “Cold Cold Heart,” but as he explained in this video, it almost didn’t happen! Even with all his success, Hank Williams wasn’t happy. The constant traveling was difficult on his back and kept him in pain. He hoped that spinal surgery would help, but it only made things worse. Hank turned to drugs and alcohol to ease the pain and that’s never the answer. He began missing shows. Soon he lost his wife (mother to son Hank Williams, Jr.) and was kicked off the Grand Ol’ Opry. And while he was still writing and releasing hit records, Hank Williams was proving to be an unreliable performer—showing up late for gigs or not at all. Soon, his bookings started dropping off and instead of playing the big joints, it was back to the beer gardens and dance halls. At the end of 1952, things might have been looking up. “Jambalya” was one of the biggest hits of the year. Hank decided to go home to Montgomery and recuperate. But he also decided to keep two dates that were on his schedule—New Year’s Eve in Charleston, West Virginia and New Year’s Day in Canton, Ohio. It makes sense that he’d want to play those, they’d be well-paying gigs. But, in an ending befitting a character in one of his songs, Hank Williams died alone, in the back of a Cadillac en route to his Charleston shows, surrounded by sheet music, beer cans and whiskey bottles. He was only 29. Sixty years after his death and on what would have been his 90th birthday, Hank Williams has not been forgotten. He is still an icon in American music, his songs rediscovered by every generation. They pop up in movie soundtracks like Forrest Gump and Steel Magnolias and have been licensed to television programs in almost every country around the world. There are countless hits collections and boxed sets out there–ranging from simple ones that include only the Number One hits to treasure troves with live radio broadcasts and concerts. And “The Lost Notebooks of Hank Williams” features lyrics Hank left behind turned into finished songs by artists including Norah Jones, Bob Dylan and Jack White. By the way, I have an every changing list of my top five Hank Williams songs. Today, “Your Cheatin’ Heart” is atop the list (I have no idea where it will be tomorrow). You?